Chevy Impala Forums > Vehicle-Specific B-Body Discussion > Wagon Discussion > Need r/hand doors and maybe fender. Need r/hand doors and maybe fender. Greetings from way south of you guys. I have the opportunity to buy a really low mileage Caprice wagon, but it has been sideswiped, and as these things were never sold in New Zealand, replacement body components are just unobtainable. It drives well, but the insurance company has written it off. The photo attached tells why, I guess, but I can repair it if I can get at least the doors! I used to own a bodyshop, and this is probably no harder to work on than a Holden Commodore or whatever badge they stuck on them to sell them in the States. Pontiac, I seem to think? Or maybe just Monaro. Dunno. Can you assist with parts, or suggest some contacts, either in the US, or Australia, who may be able to help? New, old stock, used, whatever. The freight will be a killer, but better a slow boat than no parts. I got my driver's license in my Dad's 1972 Chevelle wagon, with a 350 and TH transmission but that 's been moved to Wellington, and I can't get any info on the current owner to see if he wants to part with it, plus it had over 300,000 miles on it the last time I drove it. 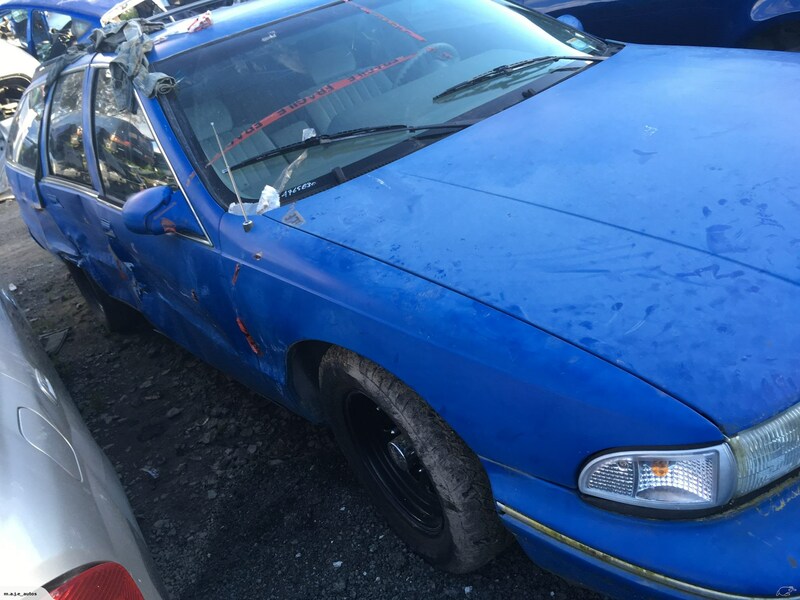 This Caprice thing - I think that, even though it's kinda ugly, that it would be cool to own, if I can source parts. Better than a Ford Laser, or whatever the hell you guys call them, (some sort of generic Mazda 323 clone), which is worn out anyway. It's been a great little car, and ain't dead yet, but it's like driving a toaster or a blender, if you get my drift. Any suggestions, be it for wrecking yards, aftermarket suppliers or even internet forums would be great. If I'm gonna buy this thing, and I really think I am, then I realise that parts are probably few and far between, and I don't know if the sedan panels and doors are the same, (but suspect that they aren't), or if other GM models from around that manufacture date would be close enough to fit. I guess I'm clutching at straws a bit here, but when Dad imported his Concours wagon into NZ, it got hit by a bus. The bus was towed away, but they could get parts for it pretty much off-the-shelf, and Dad had to source his parts from somewhere in California. I've lost that catalog, otherwise I'd contact them, but if you have any practical suggestions, then any help would be greatly appreciated. I went to a pile of trouble to get the VIN, model and chassis numbers, but it looks like I've left them at the office. If you need 'em, I'll get 'em, and forward to you. This might be right outside your scope of interest, but as I say, any help would beat the hell out of wasting the rest of my life on e-bay.